The HYMS Summer Ball is here!!! This time, get your tuxes and martini glasses ready because it is a James Bond themed ball. It is going to be the last phase 1 ball for the second years so we expect all of you to be there, suited up and waving goodbye to lectures and PBL! And we expect all of you year 1s to be there to experience your first ever summer ball, and what will be the best summer ball! 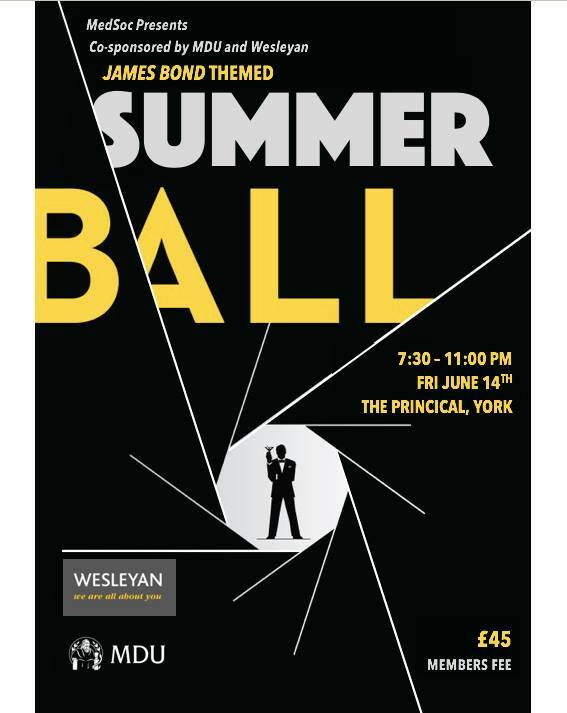 With fun, action, romance and everything you would expect from a classic James Bond film, this ball will be the perfect way to end what has been an eventful academic year.